Welcome Home to 14681 Farwell Ave! One of a Kind Modern Architecture Meets Majestic Natural Setting and Elegance. Extensively Remodeled with Over $2M in Upgrades, Just 5 Years Ago. East Facing Front Door. Main House Features 4 Bedrooms + 4 Full Bathrooms, with a Separate Guest Suite has 1 Bedroom + 1 Bathroom. Nestled Among the Redwoods, Oak Trees, and a Babbling Creek, the Architectural Elements and Detail in Superb Craftsmanship of this Impressive Estate are Awe Inspiring. Must See to Appreciate. Indoor to Outdoor Flow is Effortless, and the Open Floor-Plan is Functional and Carefully Designed to Optimize the Use of the Space While Creating Privacy for the Bedrooms. 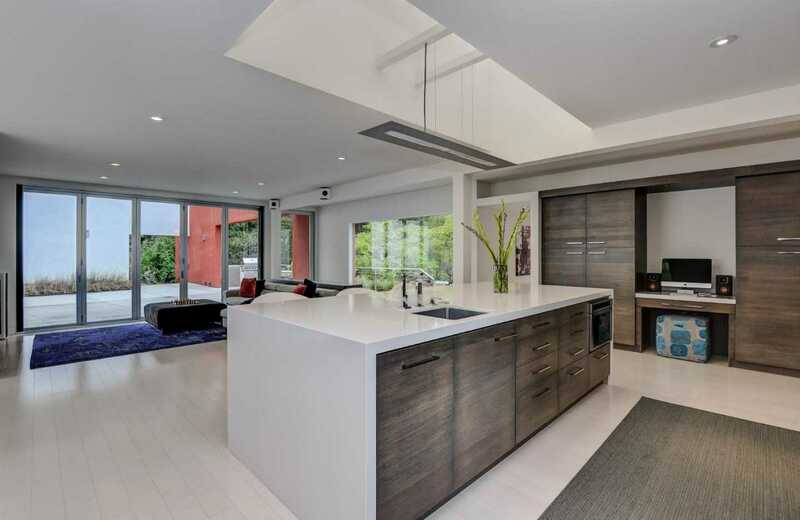 Situated on Almost an Acre with Highlights Such as: Natural Light Infused Kitchen with High-End Appliances, Professionally Landscaped + Hard-Scaped Grounds with Contemporary Water Features, Outdoor Kitchen, and a Modern Pool that Wraps Around the Front of the House. Award Winning Saratoga Schools. Don’t Miss Out! Please, send me more information on this property: MLS# ML81745939 – $5,980,000 – 14681 Farwell Ave, Saratoga, CA 95070. I would like to schedule a showing appointment for this property: MLS# ML81745939 – $5,980,000 – 14681 Farwell Ave, Saratoga, CA 95070.